Finally the long awaited announcement of the winner of Angela Cerrito's book, THE SAFEST LIE. A huge thank you to Angela for visiting us and thank you readers for participating. This was our best turn out yet. The winner has been chosen at random and is…. Jane W! Congratulations Jane! Please get in touch with us and let us know your snail mail address so the book can be shipped to you as soon as possible. Nine-year-old Anna Bauman is one of the Jewish children whom Jolanta (code name for the real-life World War II resistance spy Irena Sendler) smuggles out of the Warsaw ghetto. Anna, given a new name and false papers, must keep her true identity secret, first at a Catholic orphanage and then with a foster family. Ironically, she discovers that the most difficult part isn't remembering her new identity, but trying not to forget the old one. Suspenseful and deeply moving, sheds light on yet another tragedy of the Holocaust: rescued children who lost not only their loved ones, but their very identities and Jewish Heritage. Today we welcome author Angela Cerrito to talk about her new book THE SAFEST LIE (Holiday House) which comes out soon! Those of you who've been involved with SCBWI International will know Angela from her tireless work as the Assistant International Advisor. You’ve been involved with SCBWI for such a long time, I think people forget that you were a novice writer once too. How did you start writing and when did it become a career for you? I started writing in 2003 when I had the good fortune to be unemployed and living in Italy. My children were in school and I had hours to write each day. I was hired to write reading passages for an educational company and also started some of my own novels, including THE END OF THE LINE and the novel that would become THE SAFEST LIE. Wow. That's impressive. Your newest book, THE SAFEST LIE, is about growing up Jewish in occupied Poland, and more specifically about Anna who is given a new identity to be kept safe. I can’t imagine that was an easy story to research and especially write. What was it about this story that drew you in and kept you writing even during the hard times? That’s correct, the research was heartbreaking, especially reading about children who endured such extreme suffering. What kept me going, honestly, was friends and family who knew about the book and continued to encourage me. I received a research grant from SCBWI, so many people knew about the project. This book is a miracle to me. I was at a point in my writing where I wasn’t certain I’d ever publish another book. I was working on several projects at once and none of them felt complete. My agent was retiring. I didn’t have a plan. A lifelong friend of mine, Udo Geier, was an amateur historian with a special interest in the holocaust. He often asked about the manuscript, but I put him off; it wasn’t ready. Udo died unexpectedly in March of 2013. A few months later in the grieving process, I realized that I’d never shared the manuscript with him. I did a complete revision and sent it to my critique partner, Kathleen Ahrens. She encouraged me not to make any changes and to start my agent search right away. Not long after that I began working with an amazing agent. After such a long wait, things began to happen quickly. THE SAFEST LIE is your second book. Was there anything about your writing process that changed with this book? Yes. THE END OF THE LINE had such a clear structure (alternation past and present with very short chapters) and a forward-moving plot. I knew where the story was going and things fell into place easily. THE SAFEST LIE had certain restrictions in order to be historically accurate, yet endless possibilities. A great deal changed with each revision, and there were many, many revisions. You would say pantser. I say dreamer. I love writing by the seat of my pants. Without an outline, I feel like I am keeping all of my options open; anything can happen. I love that! How long did it take for you to write a first draft? My first drafts don’t usually take long…six weeks to three months depending on what is going on in my life. But first drafts nothing close to being a novel, they are…well, drafts. What did your revisions look like? I’m deep in the revision process right now, so I can tell you exactly what it looks like. I take a lot of time, about two months, to do what I call re-imagining the novel. During this time I work on other projects and avoid reading or editing the novel being revised. I simply think about it and keep notes. Next, I completely revising starting over from page one. I cut a lot. And I create a lot. Sometimes revision is nothing more than another draft…and the process starts again. (And I become curious about this mysterious magical outline that plotters use and start to consider changing my process.) But the truth is I love revising. Sounds like our revision processes are quite similar. A lot of aspiring writers long to work with an editor, just to get that type of personal feedback and investment in the story. Who was your editor and how much influence did she have on your story? My agent, Caitlin Blasdell, provided a lot of guidance for THE SAFEST LIE. With her help, the character of Anna became more complex and I added a new story line. Caitlin is amazing. Also, I feel very fortunate to have worked with Julie Amper at Holiday House for both of my books. She helped me grow tremendously as a writer and had a great deal of influence over both novels. That's great you've had such a good relationship with your editor. You’ve lived overseas for both of your book releases. Has that been a challenge for you as an author? Do you have any advice for writers who live oversees on how to bridge those physical and mental boundaries? Actually, I find there are advantages. For example, I still work full time. With the time difference, early evening for me in Europe is the time most children are in school in the US. I’m able to do Skype visits with classes. Also SCBWI has an excellent resource for members, a list of international schools worldwide. The time zone difference is an advantage over here. And finally tell us what’s next for you? What are you working on? I’m revising middle grade novel about a girl who will stop at nothing to meet a professional athlete she believes is a long-lost relative. I’m also working on a couple of plays and very excited to work with a director and a talented group of high school students on a one-act play that will be produced at a high school in the United States next school year. That sounds wonderful! Any announcements to share? 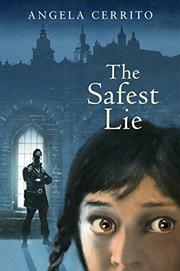 I’m excited that THE SAFEST LIE has had its first review from KIRKUS. Also there will be a giveaway of 5 ARCs (for readers in the US) on Goodreads. One lucky winner will be chosen randomly and announced on July 24, 2015. Good luck everyone! Angela Cerrito serves as SCBWI’s Assistant International Advisor and is the co-organizer of SCBWI events at the Bologna Children’s Book Fair. 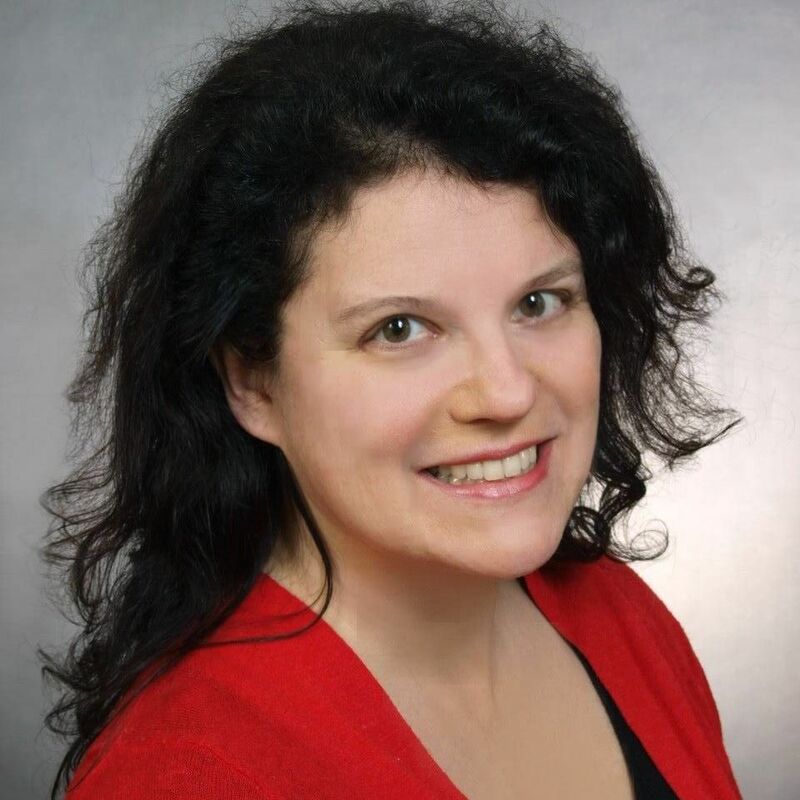 Her forthcoming novel, THE SAFEST LIE (Holiday House / Fall 2015) is based on her research in Warsaw, Poland, including interviewing Irena Sendler, a mastermind spy and member of the Polish resistance who helped over 2,500 children escape the Warsaw ghetto. This research was made possible with the help of SCBWI’s Kimberly Colen Memorial Grant. Angela’s debut novel, THE END OF THE LINE (Holiday House, 2011) was named a YALSA Quick Pick 2012, VOYA Top of the Top Shelf 2011, VOYA Top Shelf for Middle Grade Readers 2011, Librarians Choices List 2011, Kansas State Reading Circle 2011-2012 Award List, Winchester Fiction Award Honor Book 2012 and a Top Teen Pick 2012. You can reach Angela via her website, Facebook, or Twitter.